Battlefield V has returned to the series' roots, the theatre of war that started it all - World War II. 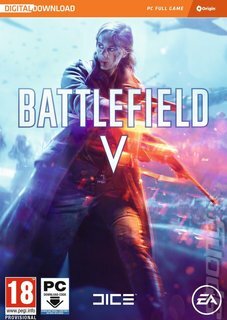 DICE brings the thing that Battlefield does best to the fray - a powerful sense of scale paired up with high fidelity wartime action. As you sprint through your environment masonry shatters, clouds of airborne earth are borne up by explosions and spat at you as sprays of dirt, sniper fire whistles past your ears. It's sharp and intense, but it's also grand in scale. Make no mistake, with 64 players able to get in on a single multiplayer match you're a moving part in a very large combat machine. That means the game can move in ways that competitors like Call of Duty can't, though - there's room for situations to develop, for tension to build. It's about sieges and ambitious flanks - there's a drama to it that isn't all about frenetic action. DICE hasn't rested on its laurels, though. Taking a leaf out of the books of some other popular shooters of the moment, V has a new mechanic that enables players to create cover in certain exposed areas. Taking it a step further, engineers can create bridges and tank blockades, too. Furthermore, a Battle Royal mode developed by none other than Criterion Games is planned for March 2019, promising even more intense action. The single-player 'War Stories' mode offers a more narrative bent. You can play through key moments of the war, tackling challenges like skiing down Norwegian mountains to take control of a nuclear facility or going behind enemy lines with a bunch of misfits to cause mayhem in North Africa. Battlefield V does what the series does best, offering destruction, team play and vehicles up for action on an epic scale.